There are many wonderful music playlists created by Spotify, and you can also create your own playlist. However, between the two tiers, Spotify Free users are not allowed to enjoy their own music playlist without internet connection while Spotify Premium users can download music playlists for offline listening on iPhone, iPad, Android mobile and tablet. Have you ever thought of downloading all the songs in your Spotify playlist as MP3 for iPod, Sony Walkman or MP3 players? 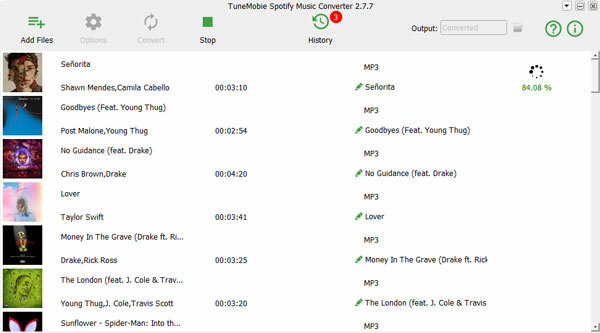 If yes, then you shouldn't miss the best Spotify playlist downloader called TuneMobie Spotify Music Converter which can download all songs in a Spotify playlist as MP3 files with either Spotify Free or Premium. There are many Spotify music downloaders or recorders you can use, but if you want to download all the songs in a Spotify playlist as MP3 in bulk, you need to get a Spotify playlist downloader first. Generally speaking, what you need to prepare for the Spotify playlist downloader is only the link of your favorite Spoitfy playlists. It's easy to get Spotify playlist link. The total amount of the songs in a playlist depends on the playlist types. For example, there are 50 songs in the Top 50 and Viral 50 playlist, 30 songs in Discover Weekly playlist, 100 songs or more in New Music Friday playlist. As to your own playlist, the amount could be from 1 to a large number. 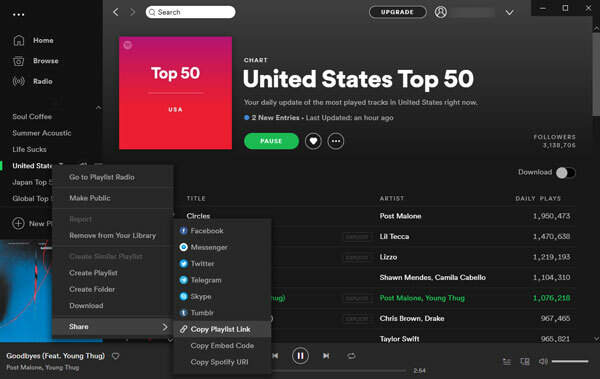 Some Spotify playlists are dynamic, part of the songs may change after some time, so it's recommended to create your own Spotify playlist and add your favorite songs to your own playlist because your own playlist is static. 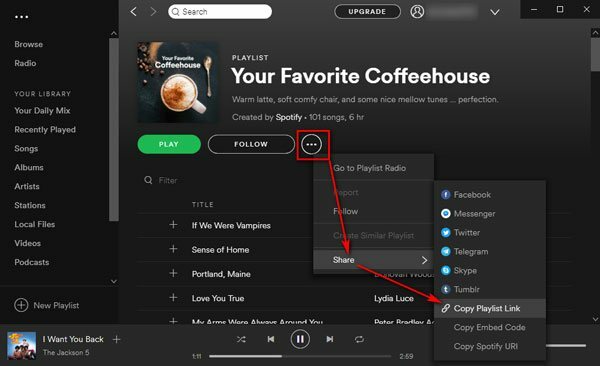 No matter what type of Spotify playlist you want to download, to get the link of the playlist, you can simply right-click on a playlist, move mouse to Share menu and click "Copy Playlist Link". This applies to your own created playlist or other playlists in Browse section. Or you can click the playlist to learn more details, such as the total amount of the songs, the playlist duration and a full list of the songs. You can easily find ... button next to the Follow button. Click ... and move mouse to Share menu and click "Copy Playlist Link". Now, you can go to your favorite Spotify playlist downloader and paste the playlist link in blank area or address bar. Generally speaking, a Spotify playlist downloader can analyze and detect all the songs in the playlist and allows you to uncheck the ones you don't like. Some Spotify playlist downloaders require Spotify Premium or account login, but the one we introduce below allows you to download a Spotify playlist with free tier without account login, which saves money for you and keeps you on the safe side. 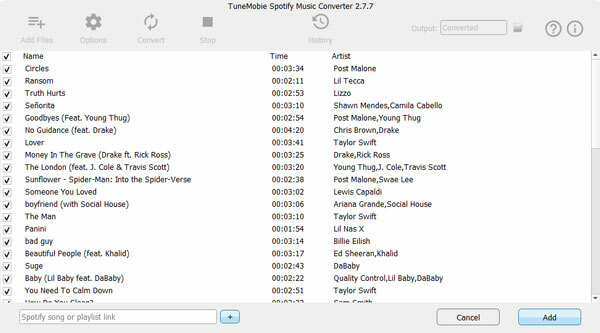 TuneMobie Spotify Music Converter is a dedicated Spotify playlist downloader, it can easily download all songs from your favorite Spotify playlists and save as MP3, M4A, FLAC or WAV with ID3 tags and metadata information kept. 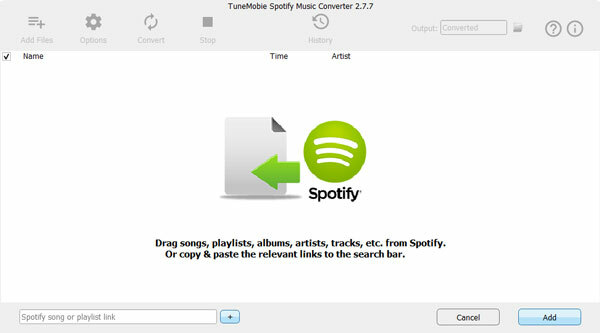 Spotify Music Converter supports both Spotify Free and Spotify Premium, it smartly breaks the barriers of downloading and offline listening for free users and also removes the DRM protection for downloaded Ogg files from Spotify Premium and help you enjoy favorite Spotify songs and playlist on all devices you own. What's more, you don't need to enter any information of your Spotify account. Once you started downloadings, Spotify Music Converter can download all the songs in the playlist automatically one by one. You don't have to click and click again like using audio recording software. 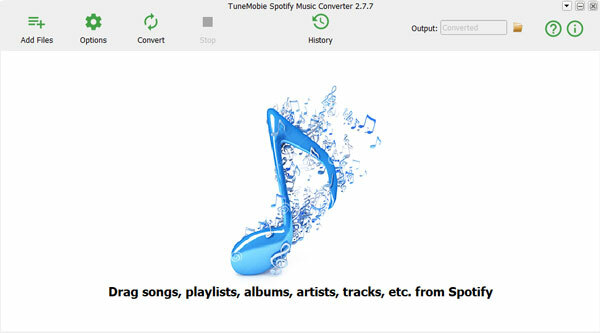 After downloading Spotify playlist as MP3 files, you can add them to iTunes library and create a playlist, then sync the songs to iPod Nano, iPod Shuffle, iPod Classic, iPod Touch as well as iPhone and iPad as you like, or copy them to any MP3 compatible devices like Android phones and tablets, PSP, Sony Walkman, Kindle Fire and various MP3 players. This powerful yet easy-to-use Spotify playlist downloader is available on both Windows and Mac, and fully compatible latest Windows 10, macOS Mojave and latest Spotify application. And Windows users can also enjoy 5X conversion speed. After downloading and installing this Spotify playlist downloader, launch it and Spotify application will be launched automatically. Do not exit Spotify before the downloading of the playlists is done. Display both Spotify and this Spotify playlist downloader on the screen, drag a playlist from Spotify and drop it in the program. You can also click "Add Files" button and you can find a blank area in the left bottom where you can paste Spotify playlist link. Go to Spotify and copy playlist link by the means we introduced above, then use keyboard shortcut Ctrl+V on Windows or Command+V on Mac, or right-click in the blank area to paste the Spotify playlist. After adding Spotify playlist, click + or Add button, and the program will analyze the playlist link and list all the songs. By default, all the songs will be checked, but you can easily uncheck the ones you don't want to download. This smart Spotify playlist downloader uses 320kbps MP3 as output by default. 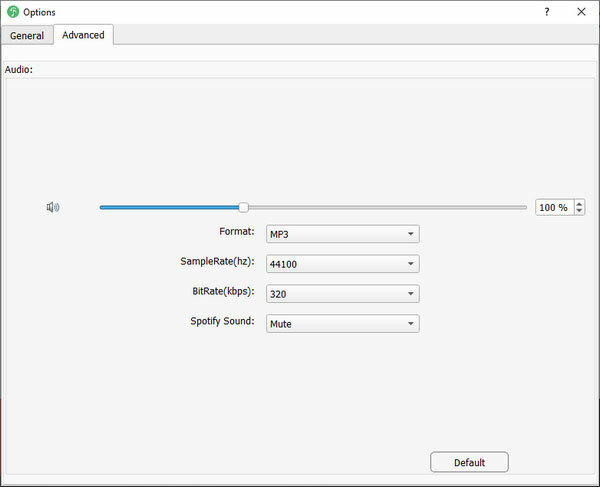 But if you prefer M4A, WAV or FLAC, or want to change output folder, you can click Options button to make changes. If you are satisfied with the default settings, you can go to next step directly. Now, click Convert button to start downloading songs from the Spotify playlists you added. All ID3 tags like song title, album, artist, artwork, etc. will be preserved in the output songs and the songs in the playlists will be downloaded one by one. After downloading, you can click History button and to check the download songs and open the output folder by clicking the folder icon. And now you can enjoy the songs from your favorite Spotify playlists on any devices without limitation.